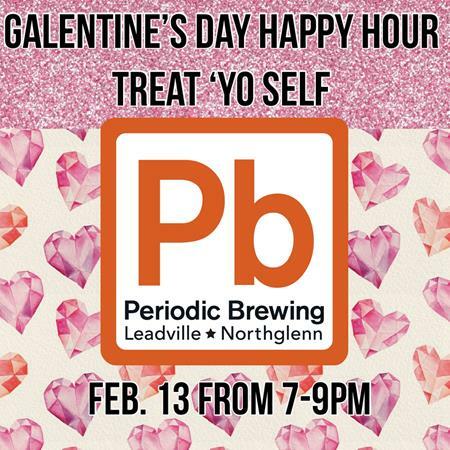 Periodic Galentine's Day Happy Hour 7pm-9pm. Treat Yo' Self to tasty craft beers! Because Ladies should always celebrate Ladies. Join us for our Galentine's Day Happy Hour on Wednesday, February 13th! From 7pm-9pm, treat yourself to time with girlfriends while enjoying Periodic beer. Maybe even some Galentine themed coloring book pages and colored pencils . . .